All my AI pack previews and releases will appear in this forum. My Real Robotics Ai pack is released. feel free to check it out. This AI pack features 42+ bots with Firebeetles custom components such as the quake burst motor and superangle motor to develop realistic bots with NO collision meshes such as spinners intersecting batteries. Believe me- some of the bots are tougher than you think despite being rather simple. I rebooted Real Robotics. The patch is with new AI components and UI and the Rebooted version is the whole AI pack made anew. Rebooted AI pack in! v1.0 is in DOWNLOADS and ready for play! R. AI v2.0 under development. I will accept teams from other members for this AI pack. To submit your team, simply create a zip of the bots and teams and PM it to me. USE THIS BINDING FOR ALL BOTS. 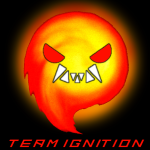 Also, submit a txt file containing your team name and motto, and add the image for your team. There will be reboots and new teams in it from me as well. I downloaded your 1.0 ai pack and gave it some testing. -Some robots (Summit in particular) either have weapons too far back or a smart zone too far forward. -Firewall's weapons don't seem to spin. -Please get Paint.net or something else that is better than MS Paint. 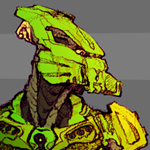 Your team icons have that splotchy "I used paint bucket on a jpeg" feel going on and no one likes that. -build quality is all over the map, but there are some pretty solid bots in here! Keep up your improvement and upgrading the robots in this pack and I think it has the potential to be up there with some of the greats. The bots that face backwards will turn around and ZIGZAG towards their opponents. Don't worry about it. They work. The weapons on Firewall are powered by a smartzone. Get close to it, and Firewall will activate its weapons. Unnecassary Roughness is in "RebootVille" and will be rebooted sometime. Hazard-to-Game Crab is Rediculous I tried razor tips- it StArTeD BoUnCiNg!!! Check my stock showcase for reboot data. In Plain Sight has already been rebooted. I'll see if I can find the "Popup" binding and the "Paint.net." The bots that face backwards will turn around and ZIGZAG towards their opponents. Don't worry about it. They work. You're right. I'll try that. It's like rebooting a computer- restarting it again. I just use the term to summarize rebuilding the bots. It's that and different wire connections and bindings. Next reboots- Bots that start out backwards will be changed so they face forwards. >Bots developed from me and other people including my family.